It has been some time since I visited County Down, so I was delighted to go for a spin up to the Rathfriland area with John. We decided to take in a few monoliths which included this huge stone at Barnmeen, it is a megalith I have wished to see for some time now. 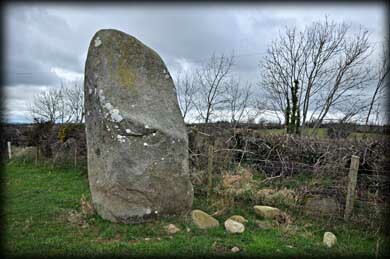 The stone stands at well over 3 metres tall and is about 1.5 metres wide at the base. A most distinctive feature is the man made concavity which starts about half way up the stone. 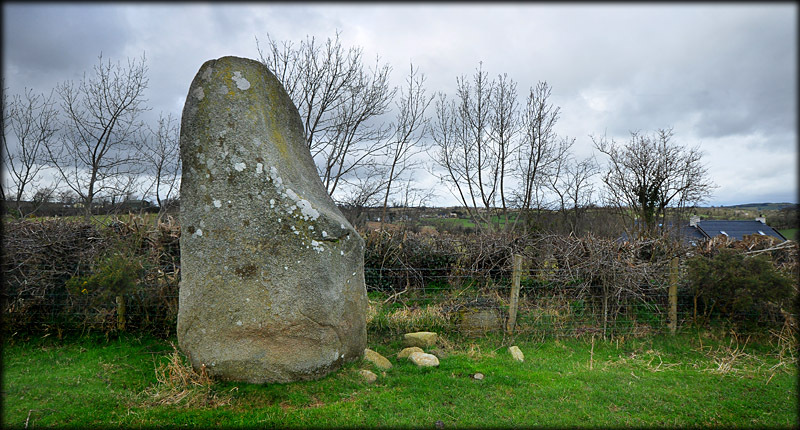 This is known as a shoulder and it is a feature of a few megaliths around this part of County Down, including Tamnaharry standing stone and the portal tomb at Wateresk. 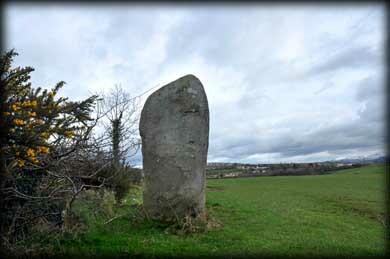 Situated: From Rathfriland head west on the Redbridge Road. After 800 metres turn left onto Longstone Hill. Keep right at the fork and about 600 metres down the road you will come to a house on the left. There is a track before it. The stone is in the field on the left of the track. Discoverer Map 29: J 1716 3303. Last visit Mar 2013.